If you have kept an eye on the outfits of Brad Pitt, Michael Schumacher, Uma Thurman and several other Hollywood celebrities, you should have noticed the luxury watches they wear. You are not the only one if you want to search those watches. 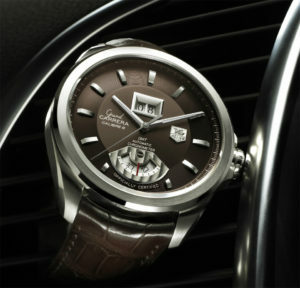 The Swiss-made luxury timepieces of Tag Heuer are known for their superior quality and excellent craftsmanship. However, this also makes these watches a target for replicas, so you’ll need all the insider information before making that purchase on a watch that claims to be authentic. 1. The crown should not show any signs of glue on it. 2. Check the dial for dirt, dust and fingerprints. A genuine Tag Heuer watch made from a factory has strict quality control procedures. 3. Watch the dial in the dark to see how luminous it is. Fake Tag Heuer watches won’t glow brightly at all. 4. Listen to the ticks of the watch – replicas will tick about once per second; a genuine Tag Heuer will tick about eight times a second. 5. If the links, hands, detail and clasps with the loupe are obviously poorly crafted, then the watch is most likely to be a Japanese or Asian fake.